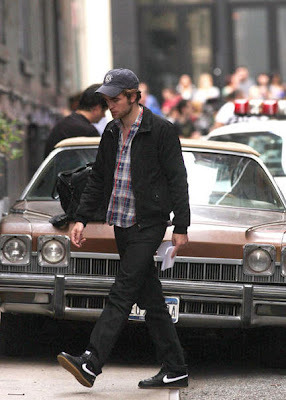 The Twilight Sisterhood: Rob sporting a Yankees cap in all his glory!! 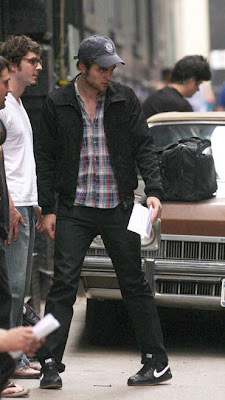 On set June 23rd "Remember Me"
Rob sporting a Yankees cap in all his glory!! 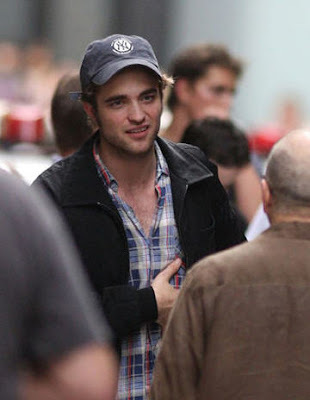 On set June 23rd "Remember Me"
Here are some absolutely YUMMY pic's of Rob sporting a Yankee's cap and still wet from the rain while filming on the set of Remember me yesterday in New York. Makes me appreciate a man in a hat... Or more specifically THAT man in a hat! OMG why is he wet??? I love the wet hair!! !